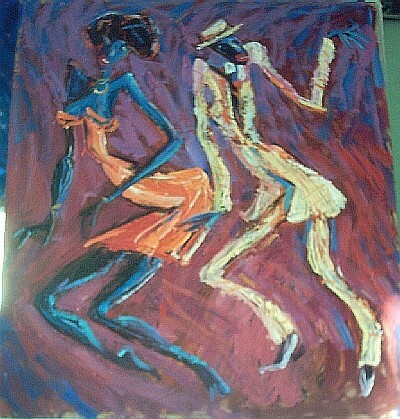 "Samba" Oil painting, approximately 45" x 55". 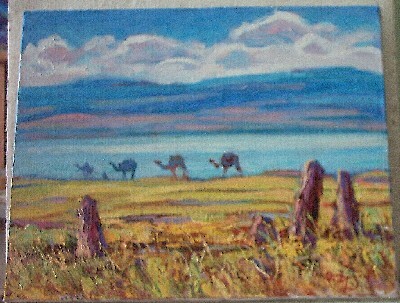 "Silk Way" Oil painting - approximately 30cm x 40cm. 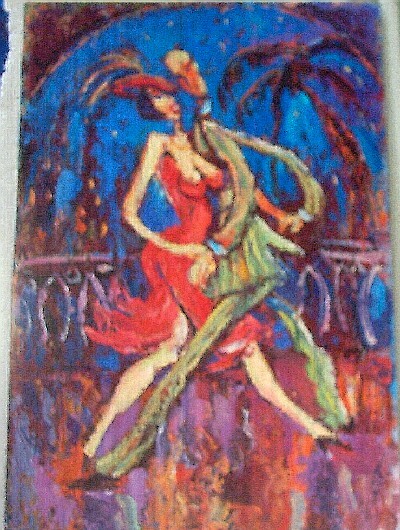 "Tango" Oil painting - approximately 55cm x 40cm. 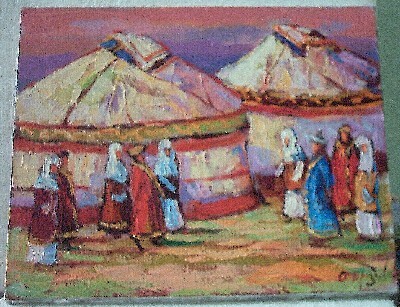 "The Guests" Oil painting - approximately 30cm x 40cm. 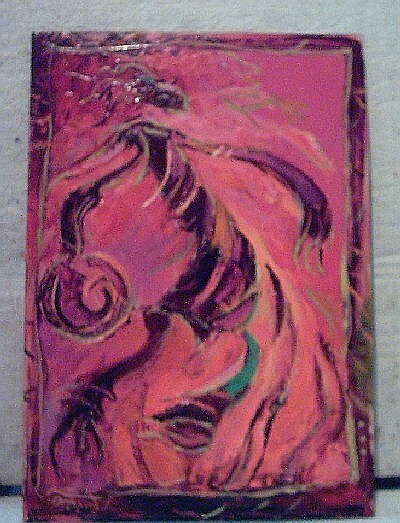 "The Shaman" Oil painting - approximately 30cm x 40cm.